Sadly, crashes for teen drivers increase significantly during the summer months because teens drive more during this time of year. 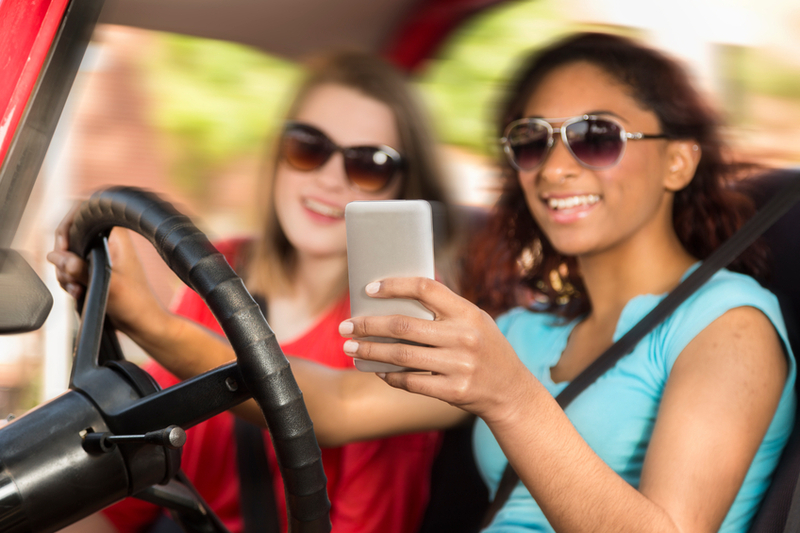 Just in time for summer and increased teen driving, the AAA Foundation for Traffic Safety has released a study confirming that nearly 60% of teen crashes involve distractions behind the wheel. The research also finds a disturbing trend showing that texting and social media use are on the rise amongst teen drivers. The AAA Foundation analyzed the moments leading up to a crash in more than 2,200 videos captured from in-car dash cameras. The latest report compared new crash videos with those captured from 2007 -2012. Talking or attending to other passengers in the vehicle (15% of crashes). Talking, texting or operating a cell phone (12% of crashes). Attending to or looking at something inside the vehicle: (11% of crashes). Between 2007 and 2015 an average of 59% of crashes contained some type of potentially distracting behavior during the six seconds leading up to a crash. The latest government statistics indicate that, in 2014, 10% of teen drivers involved in a fatal crash were reported to have been distracted at the time of the crash. Proportionally, this is more than any other age group. The AAA Foundation report notes that experts believe that the government statistics substantially underestimate the prevalence of driver distraction. Data suggests that the true proportion of crashes that can be attributed to distraction and inattention is likely much higher. Researchers found that how teens use their cellphone when behind the wheel changed significantly over the course of the study. In the moments leading up to a crash, teens were more likely to be texting or looking down at the phone than talking on it. This supports findings by the Pew Research Center, which shows text messaging has become a key component in day-to-day interactions amongst teenagers. Research by the Virginia Tech Transportation Institute found that texting creates a crash risk 23 times worse than driving while not distracted. A recent AAA Foundation survey shows that nearly 50% of teen drivers admitted they had read a text message or e-mail while driving in the past 30 days. NHTSA’s National Occupant Protection Use Survey also shows that from 2007 to 2014, the percentage of young drivers seen visibly manipulating a hand-held device quadrupled (see chart below). Keeping cellphones out of the hands of teen drivers is a top priority for AAA. The association’s advocacy efforts are helping to protect teens by working to pass graduated driver licensing laws and teen wireless bans in states across the country. From 2007 to 2015, there was a significant increase in the proportion of teen driver crashes in this study that were rear-end collisions. Rear-end crashes most often involve a driver who is following too closely and/or responding too slowly due to inattention or distraction. While it’s possible that teens have started following more closely, it seems more likely that distraction has led to an increase in eyes off road time, slower reaction times and therefore, an increase in the proportion of crashes that are rear-end crashes. 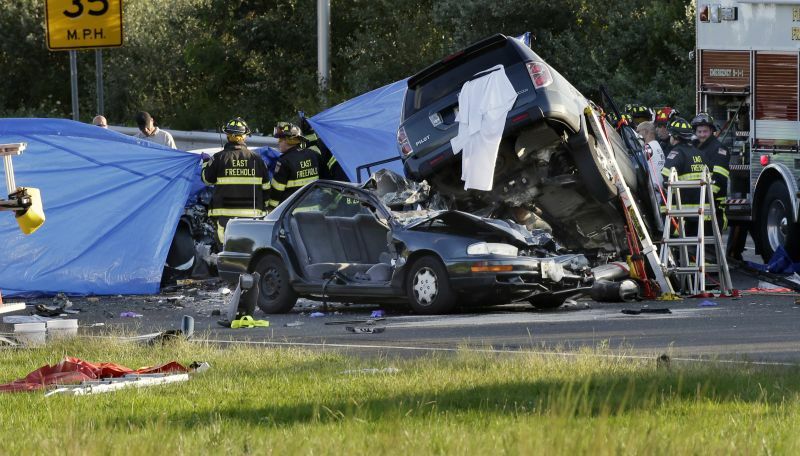 A in-depth examination of rear-end crashes showed there was a significant increase in the proportion of crashes in which the driver was operating/looking at a cellphone, from 15.3% in 2008 to 27.9% in 2014. 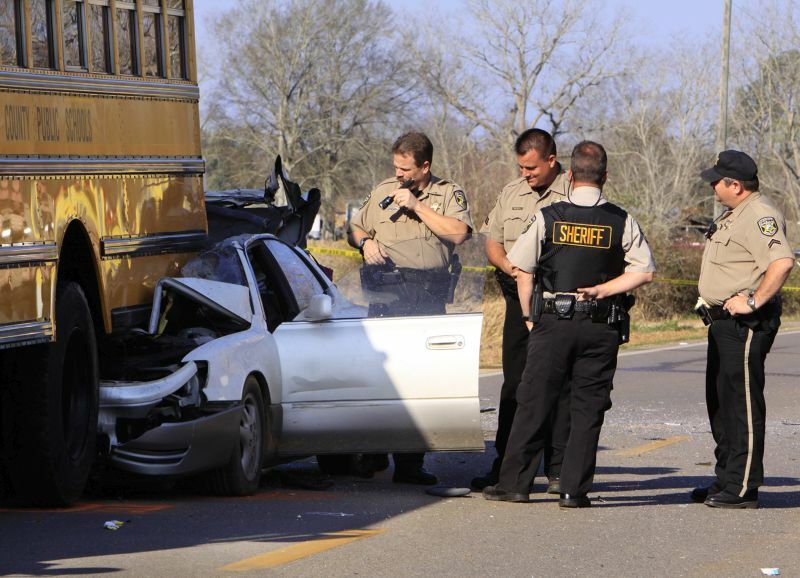 An average of 1,022 people died each year in crashes involving teen drivers. 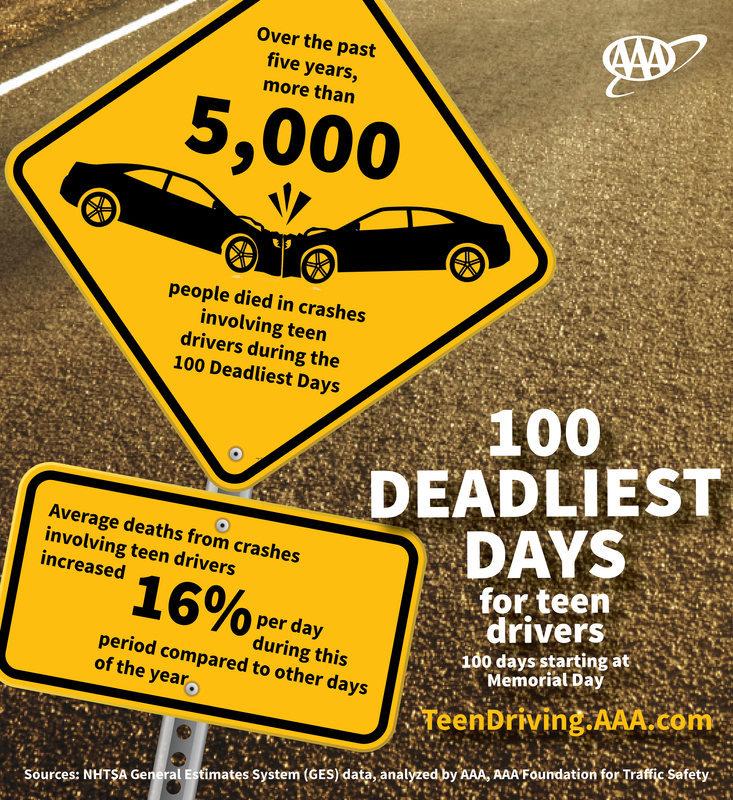 The average number of deaths from crashes involving teen drivers ages 16-19 increased by 16% per day compared to other days of the year. 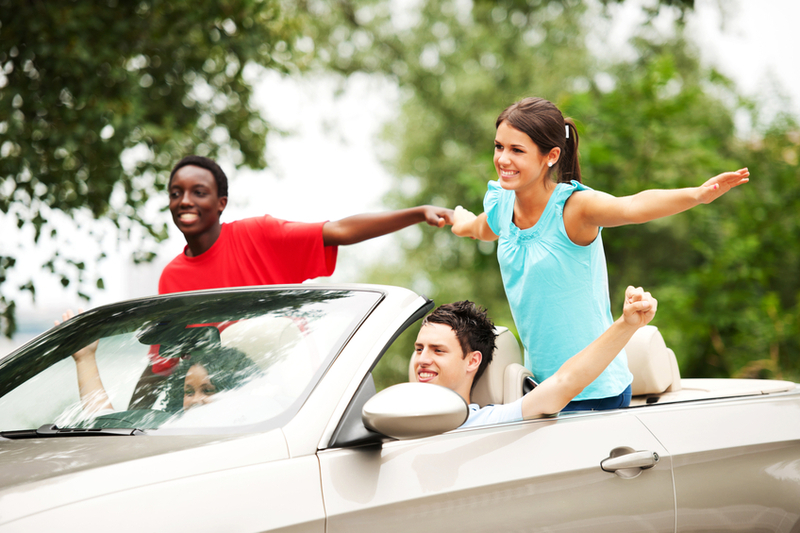 Don’t ride with teen drivers or transport other teens while a new driver. One of the most dangerous sources of distraction for teen drivers, whether due to horseplay, loud music, rowdy behavior or peer pressure, is teen passengers. Don’t allow a cell phone to be used in the vehicle by you or your teen. Below is an infographic from the AAA Foundation to share with clients, family and friends.